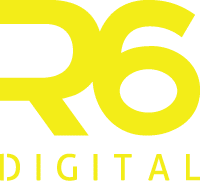 Following its rapid growth and award winning performance in 2018, R6 Digital, a leading marketing and design agency in South East Queensland, has announced the opening of a second office in Brisbane’s CBD. Located in the middle of Adelaide St, this bustling new office location will be the forefront for medium enterprises and large business clients, while their current Loganholme location will support the growing marketing needs of small businesses. This new office comes at a time of internal expansion of the R6 Digital team, with five new staff members joining the ranks across marketing, design, management and development. Last year, R6 Digital’s high performance was publicly recognised by being awarded service member of the year from the Self Storage Association of Australasia, for delivering world class self storage websites, online marketing campaigns, branding and software for clients in the storage industry.